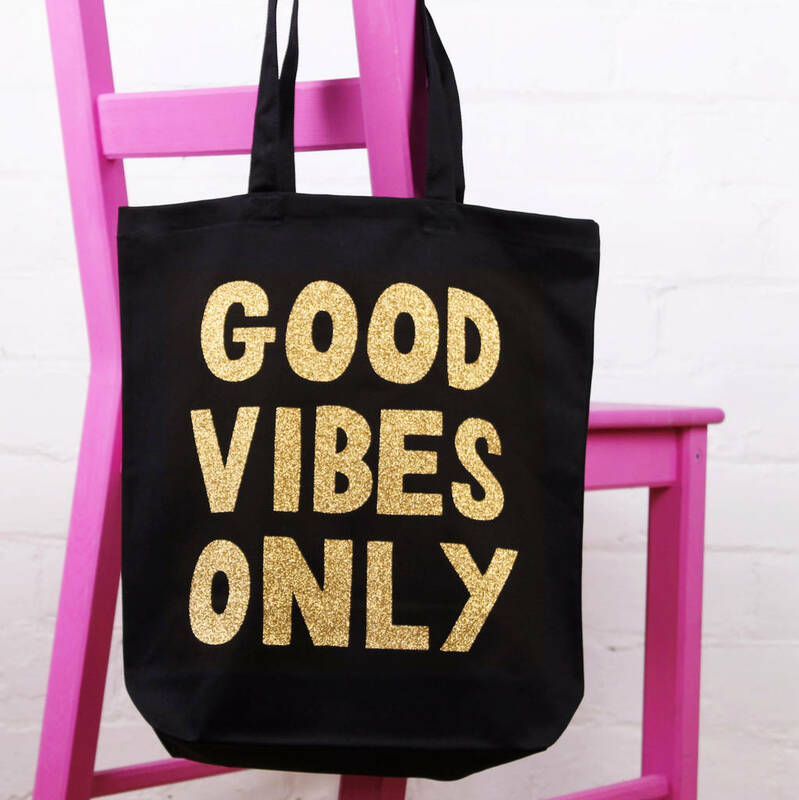 Tote bags are super useful for carrying anything and everything, and this bag will add a bit of positivity to your everyday tote-ing! This tote bag is made from a high quality black cotton; it features long handles which make it perfect for carrying up on your shoulder. The design has been heat printed with garment vinyl and reads 'GOOD VIBES ONLY' in a handwritten style font. 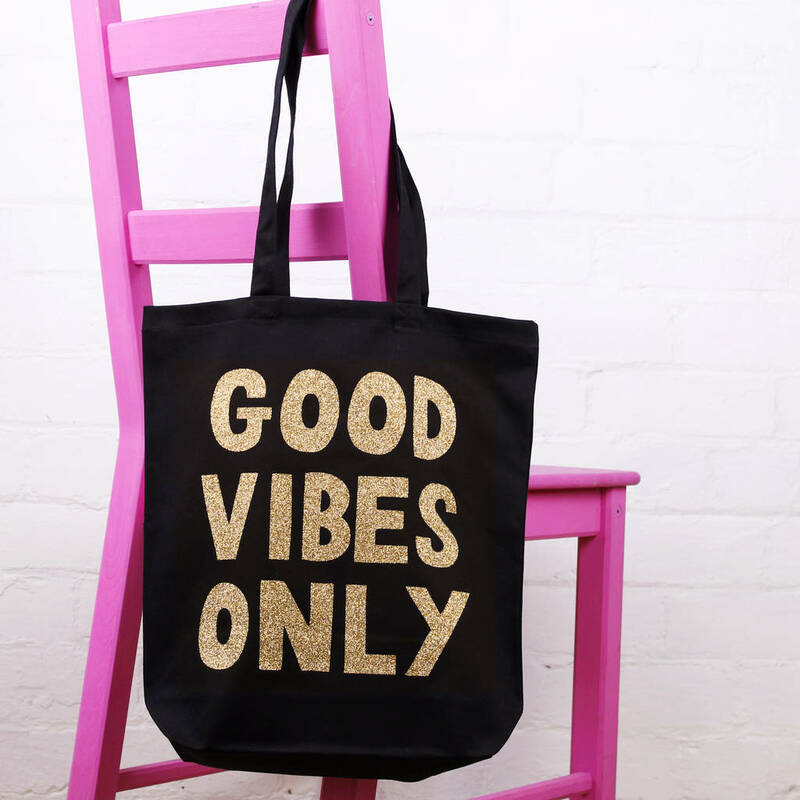 This bag looks great with any outfit and would make the perfect gift for anyone who needs a bit of positivity in their lives! This tote bag is available in black cotton. 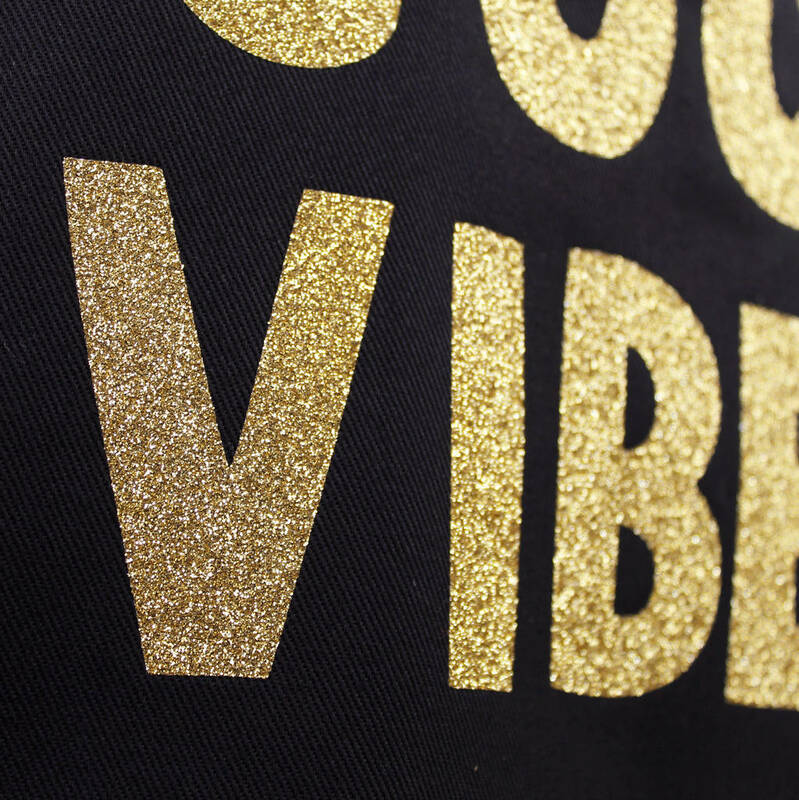 The design can be printed in white, gold metallic, holographic, gold glitter, pink glitter or silver glitter. 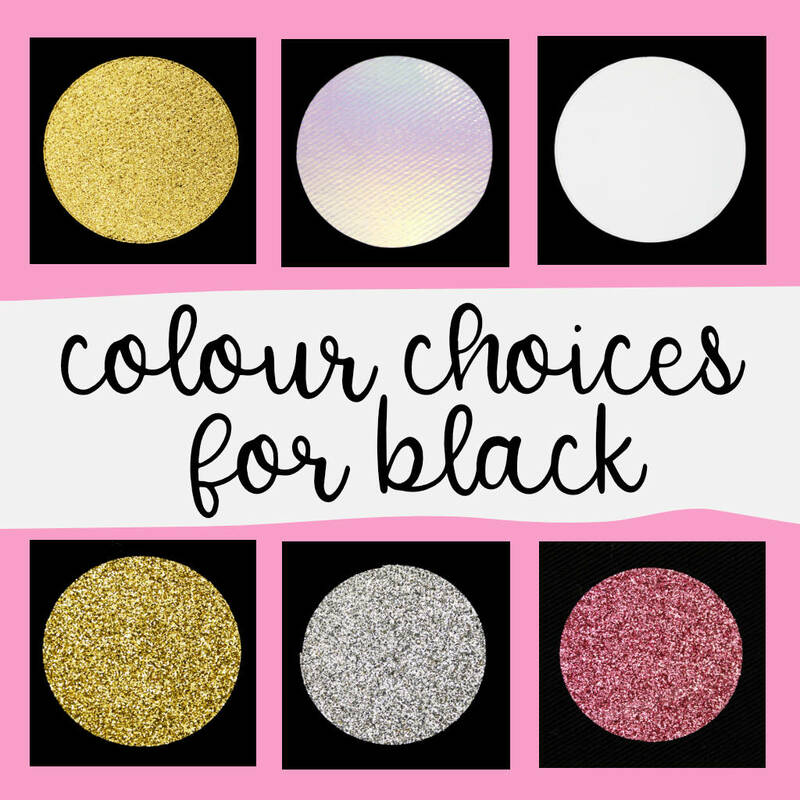 You can see an example of each colour in the product images. Please make your selection for design colour from the dropdown menus. 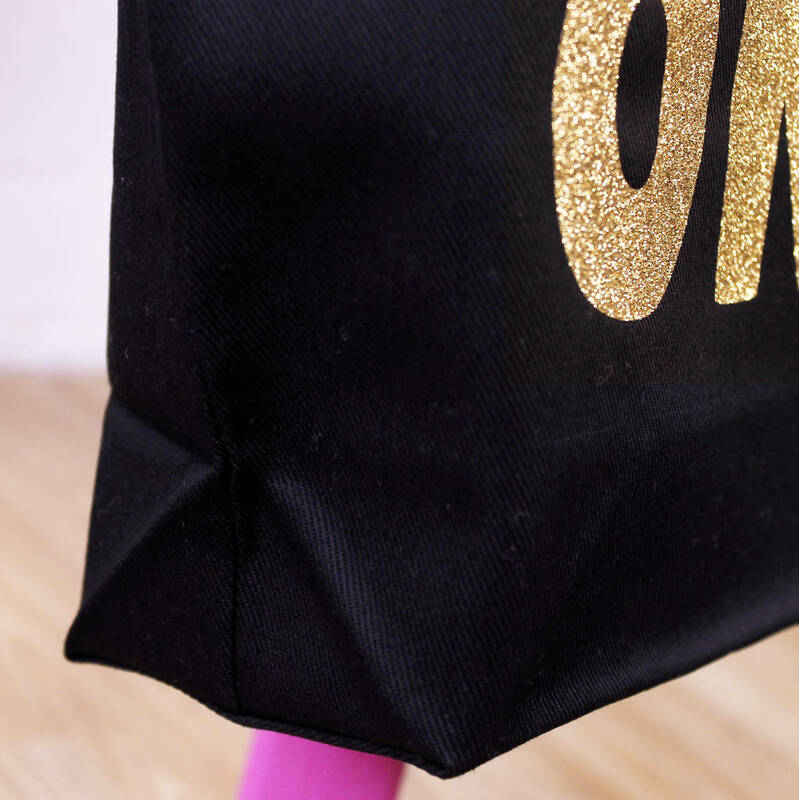 The bag has been made from a 270gsm black cotton and printed with heat adhesive vinyl.. Please handwash only and iron on reverse. The bag measures 41cm x 38cmx10cm (approx 16"x15"x4"), it has a gusset bottom so you can fit extra stuff in there, and has long handles, perfect for putting up on your shoulder.